Be worry-free about your website being hacked or destroyed by hackers. Our backup service ensured that we always have a working version of your website when something bad happenes. We ensure that you are informed when your domain get blacklisted by Search Engines. So that you can always be sure that your website is visible every time. Scanning and patching of your website can be really frustrating. Let us do the job! Our service includes a quarterly upgrading of your website to the latest software version. Know where your website ranks. Our monthly SEO report will tell you which page your website ranks on search engines. Don’t be kept in the dark with what we are doing with your investment. Our monthly report will ensure you that your website is well taken care of. All website should be secured with SSL Certificates. This isn’t just a requirement to be search engine optimised but a requirement to keep your data protected. You are an advanced user of WordPress and you need help to free your time. Our AUS is the best website maintenance plan for you. This plan is suitable for advanced users who are looking to find a suitable WordPress website maintenance support team and minimal help with their website. You want to grow your website and you need help to keep your website with fresh content. This plan is suitable for users who want to build trust with the customers by sharing knowledge of their industry. Our content writer will pick and select a trendy topic to be discussed on your website. We will produce 1 quality article on your website every month. For the one who needs to promote your website and products. This plan is suitable for users who want to regular updates to their website and will need to create a landing page for regular product launch or for advertising. Lemonade WordPress Maintenace Vs WordPress Managed Hosting. Ask any question about WordPress and you shall be answered. Our team of website maintenance experts behind the scene are always ready to support you. 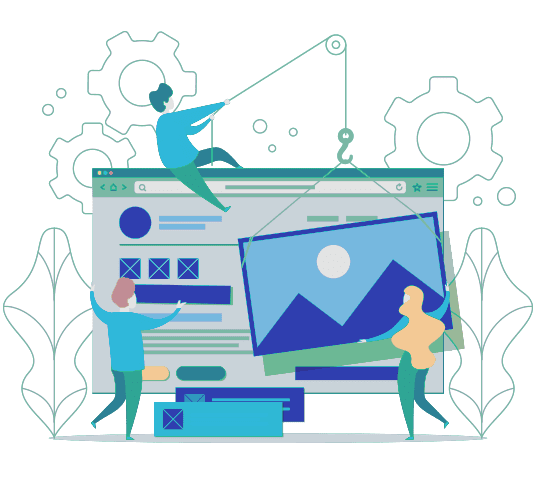 When we build your website, our team equipped it with our regularly used plugin which we have paid off the license fee, so you do not have to pay to maintain it. Any question is within our scope. If we can’t find the answer, we help you seek for more help! With the help of large community users, we are sure that we will do everything it takes to resolve your website issue. One of our mission is to sustain your website. Our team of developers are always ready for any fixtures. No more get back and fore to ask questions. Do you know how to clear a malware? You can get a security suite for WordPress anywhere. But when you have malware on your website, do you know how to clear it? Here’s “how you can clean a Hacked WordPress Website” if you need. Managed hosting have tools to scan your WordPress website and alert you of a new update for your plugins. You need to pay additional to the plugin’s developer for the updated version. Managed hosting are good if you have questions about your server. How many times have you ask your host provider what is the specification of your hosting server? Managed host provider are not your developer. When it comes to questions about your website or if you need any fixtures to your website, we are a better choice.